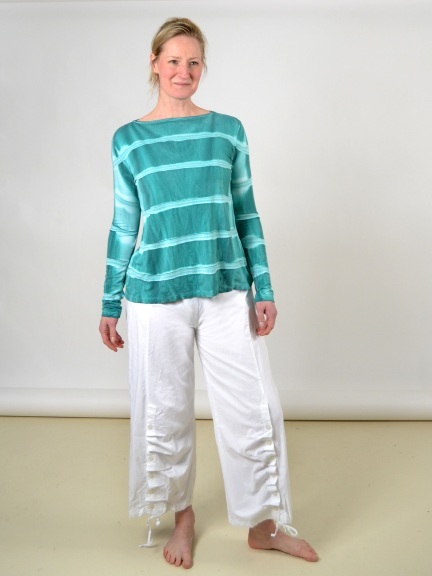 Classically constructed wide-leg pant has a flat front waistband with elastic in back to ensure perfect fit and ease. 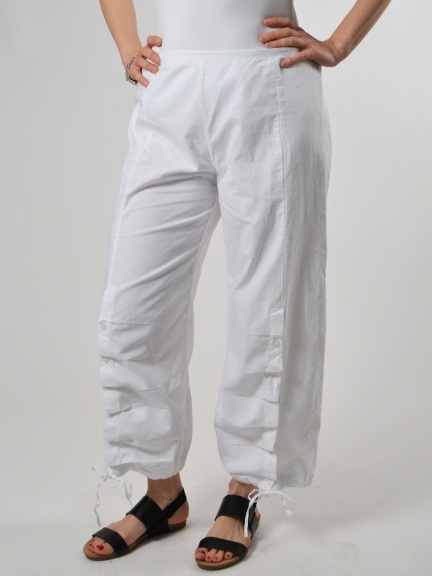 Adorable details like front seams, contrast buttons and drawstring cuffs allow this pant versatility and prominence. The color White is available in any out-of-stock size as a Special Order, estimated to ship on May 3rd for orders placed today.